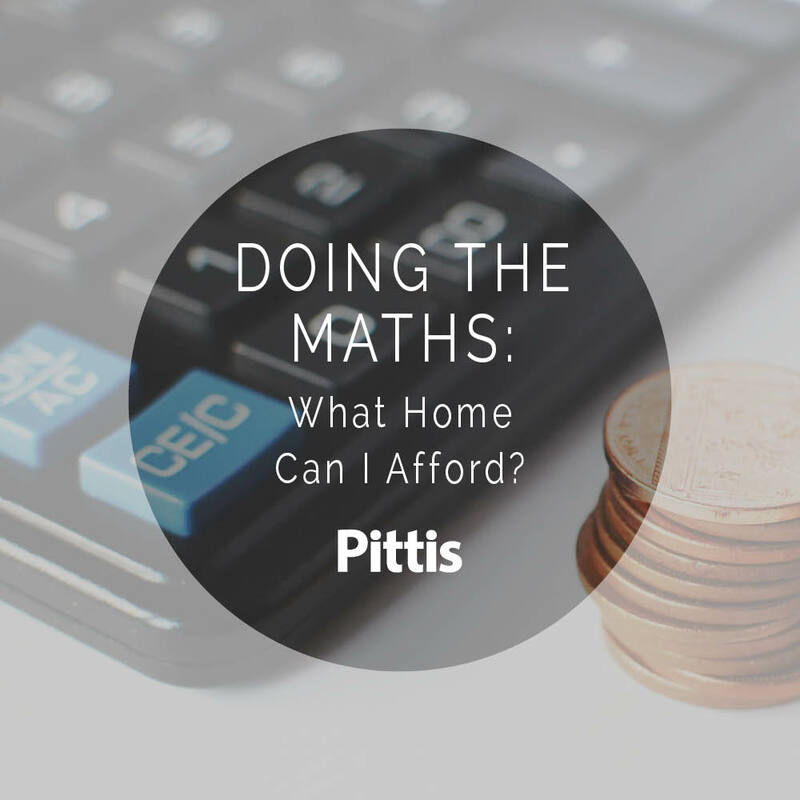 News / Featured / Doing the Maths: What Home Can I Afford? Buying your first home can feel like a rollercoaster; exciting, daunting and full of twists and turns. Your first step in making sure you avoid spiralling disappointment is to get the maths right. You need an honest representation of what you can actually afford so you don’t set your expectations too high. Here’s a rundown of what you need to consider, so you can make an accurate, measured decision on buying a new home. As a starting point, you’ll need to sit down with a good old fashioned pen and paper and work out what your current assets are. As most people are unlikely to have enough cash to buy outright, you’re going to need two things: a deposit to put down and a mortgage. You’re going to need to cover stamp duty, legal and moving costs on top of this, so getting an honest evaluation of your available money now is crucial. Ask yourself: how much do I have saved? Are there any incoming sums of money that will largely contribute towards the move? Assessing what you’ve got is the easy bit, getting to the bottom of what you can borrow proves to be slightly trickier. Firstly, every lender has a different method of calculating how much they’ll lend you, but a very general rule of thumb is that a loan is capped at 4.5 times your salary. Nowadays, we’ve got the credit crunch to thank for ‘affordability based lending’, which essentially means a lender looking at the amount you can feasibly afford, rather than just a wage multiplier. It includes specific criteria such as your income, deposit size, expenditure and your credit rating. To save yourself headaches, a solid mortgage broker will be able to easily guide you through this process as they are experienced with all the pitfalls and realities of affordability checking. This is all about how much you can borrow in relation to your property value. Imagine a property is worth £300,000 and your deposit is £30,000. Your deposit is 10% of the property’s value and therefore your mortgage would be 90% of the property’s value. With this in mind, you can look at mortgage deals for LTVs of 90% or above. Fixed Rate - The interest rate you pay will stay the same for the duration of the deal, no matter what happens to interest rates. The plus? You have peace of mind that you won’t get lumbered with unexpected high interest. The minus? You are generally locked in to a fixed-rate for a specific period of time (with a financial penalty if you leave early). At the end of the fixed period, if you haven’t renegotiated your deal, you would revert to the Lenders Standard Variable rate that could be higher and create a rate shock – meaning the cost of your monthly mortgage payments go up. Variable Rate - The interest rate you pay will fluctuate depending on the market, so you’ll need to make sure you have enough spare cash to account for this. The plus? You get the freedom to leave (and possibly overpay) the mortgage at any time you want to. The minus? Your rate can be changed at any time during the loan agreement, meaning you need to be extra prepared so that you’re not left out of pocket. Does it all seem a little bit out of reach financially? It can be tough in this day and age to meet even the basic deposit for a traditional mortgage option (even with help). Luckily, the government does offer a Help to Buy scheme where they can lend you up to 20% of the value of your desired property. You also won’t be charged fees on the 20% loan for the first 5 years, giving you a bit of much needed leeway to increase your affordability. One last thought: when you’re working out what you can afford, make sure you’re taking into consideration what you’re prepared to sacrifice per month. Don’t take out a mortgage with high monthly repayments that will take away your well-deserved annual holiday, or will affect your quality of life by stretching your finances too thin. Find out how much your property is worth with a free and instant online property valuation.